'I’m going on a short US tour in May with award-winning bearded British comedian Daniel Kitson. 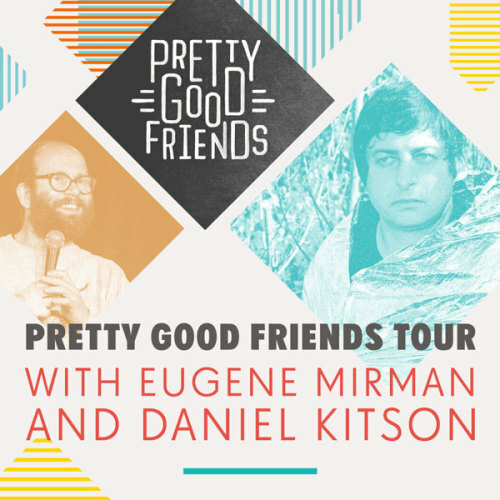 This is Kitson’s first US tour ever (he’s done shows only in NYC previously). If you’re unfamiliar with him, here’s a great article about him. And another about him being the “reluctant hero of British comedy.” He’s won lots of international awards, including the Edinburgh Perrier Comedy Award, the Melbourne International Comedy Festival Barry Award, and The Scotsman Fringe First Award (whatever that is, but he won it in 2005, 2006, 2008, 2009, and 2010). A few years ago he was included in Rolling Stone Magazine’s 50 Funniest People Now If you’re in any of the cities we’re coming to, you should come. Here’s a show of Daniel’s from The Stand in Edinburgh 2005 that he put up on Bandcamp. It’s one of the first shows of his I ever saw and I really loved it.